Anonymous: Exercitatio bona, Petre amas me; Josquin Desprez: In principio erat verbum, Agnus Dei, Mille regretz, Miserere mei, Pater noster, Stabat mater dolorosa; Jean Mouton: Tua est potentia a 5; Pierre de la Rue? : Patrem omnipotentem; Ludwig Senfl; De profundis a 5, Nisi Dominus, Preambulum a 6; Claudin de Sermisy: Le content; Philippe Verdelot; Infirmitatem a 5. There cannot be a more appropriate merging of organ and music than is found on this CD. 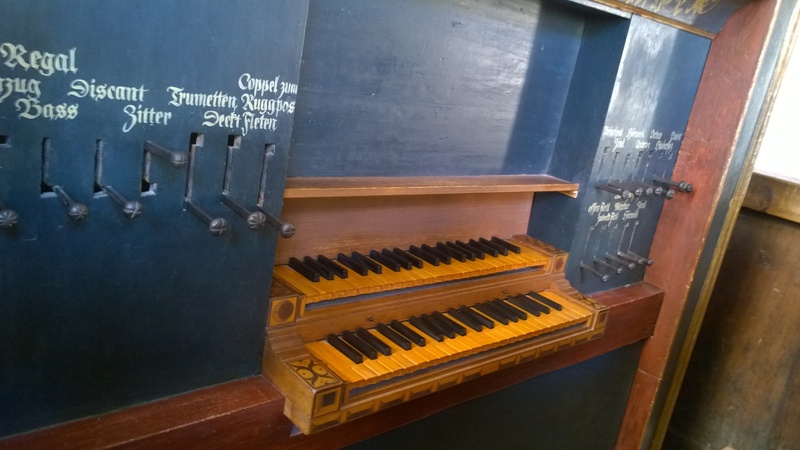 Although there is no specific evidence, the Klagenfurter Orgeltabulatur seems to have been written around 1560 and was possibly written for a Carinthian monastery in central Austria. It is now in the state archives of the state of Carinthia (as Klagl. 4/3). 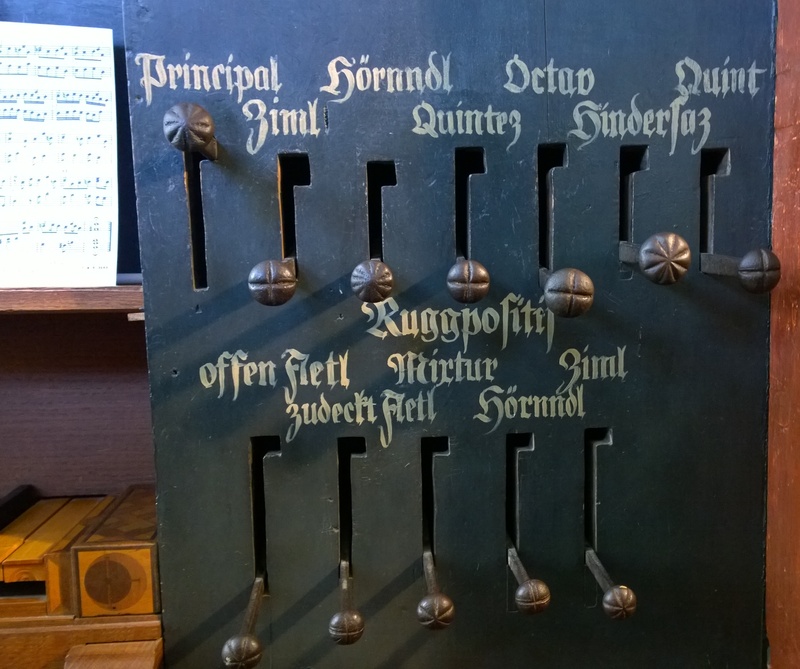 It is the earliest known collection of keyboard music in Austria, and one of the first to use the ‘New German Organ Tablature’ letter notation. At the same time as it was being prepared, Jörg Ebert was making a bit of a meal of building the organ commissioned by the Holy Roman Emperor Ferdinand I for the Court Church in Innsbruck in the Austrian Tyrol. He had been appointed in 1555, but progress was slow and, as a result, he nearly lost the contract. But by 1558 the organ was substantially complete, and was inspected and approved in 1561. A seminal restoration in the 1970s (by Ahrend) produced an excellent, and rare, example of a Renaissance organ, with only three stops having to be reconstructed from new. I gave a recital on it last year, and it is an absolute joy to play. Manfred Novak edited the Klagenfurt Organ Tablature for his Masters thesis in organ studies at the Amsterdam Conservatory. His complete critical edition was published (in three volumes) in 2009 – de tails here. I have not seen this, so cannot comment on any of the research that is behind this recording. These two CDs (which date from 2011) include all the pieces in the Tablature. As with most surviving organ music of the early to mid Renaissance period, most of the pieces are ‘intabulations’, based on pre-existing vocal models, but there are also two original freely composed organ pieces, Ludwig Senfl’s Preambulum and the anonymous Exercitatio bona. These have been published before, but Novak offers alternative suggests on the possibly corrupt text. Intabulations essentially represent the birth and development of an idiomatic keyboard style, by taking an existing vocal piece and added keyboard figuration and ornaments. There are many examples dating from the 15th and 16th centuries by the likes of Hofhaimer and Buchner, and from manuscripts such as the mid 15th century Buxheimer Orgelbuch. They have occasionally been derided as debased music, but in historic terms they are the foundation of the late Renaissance masterworks composed by the likes of Sweelinck, Hieronymus Praetorius, and Frescobaldi in the early 17th century. Despite their apparent c1560 date of composition, the Klagenfurt Tablature examples are relatively simple by the standards of many other examples. There are no suggestions of the often over-elaborate intabulations from t he late ‘Colorist’ school of that period, as represented by the likes of Bernhard Schmid the Elder and Ammerbach. In some of the liturgical pieces a clear cantus line is maintained throughout, for example in the Agnus Dei from the Josquin Missa ‘L’homme arme’ super voces musicales, where the chant theme is surrounded by an almost hypnotic filigree of intertwining motifs. The most frequent ornament is what later became known as the ‘turn’, and associated with Spanish organ music of the early 17th century. As Manfred Novak explains in his notes, the unknown compiler of these pieces generally left the original text alone, merely adding fairly subtle ornaments and small-scale figurations. Although it seems likely that performers were expected to add further elaborations, Manfred Novak sensibly avoids that temptation, making his recording an aural record of the music in his edition. His playing is sensitive, musical, and undemonstrative, with a fine sense of touch and articulation, so important in this music. He lets the music speak, whether it is in the almost meditative movements played on the single stop, or the more exciting pieces, often play on distinctive reedy registrations. The registrations for the pieces are well-chosen, both in terms of the underlying text of the original vocal pieces, and for the overall balance of the programme. The Ebert organ speaks with a bold voice, and with a remarkably wide range of tone colours, from its ‘swallows-nest’ position high on the side wall of the narrow chancel of the church. It has two manuals (the Rückpositive sounding at 4’ pitch) and pull-down pedals, with 15 speaking stops. It is in a meantone temperament with eight pure thirds. This CD is a wonderful exploration of the organ’s colours and texture, particularly as it includes a demonstration of 19 different registrations and combinations of stops. The spoken descriptions, in German, are rather quite, but don’t increase the volume, as the examples are at the previous correct volume. This forms a suitable appendix to the Tablature, which finishes with the incomplete fragment of the Secundo pars of the Deprez In principio erat verbum which, like the famously incomplete Fuge a 3 Soggeti at end of Bach’s Art of Fugue, just stops. Next > Alina Ibragimova – Bach: Violin Concertos.